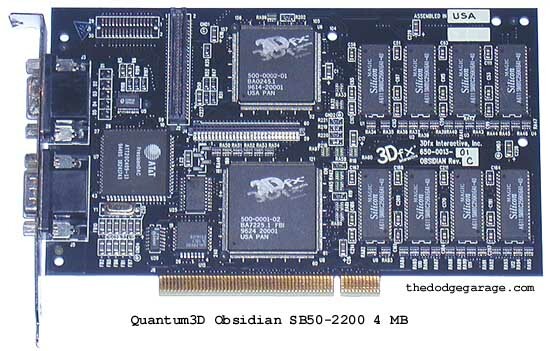 Sometimes I think it wasn't Quantum3D that was spun off from 3dfx but rather 3dfx spun off from Quantum3D! 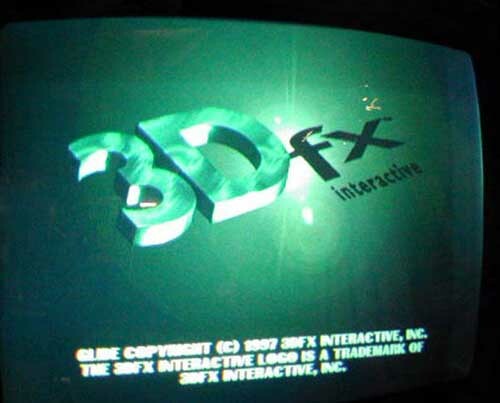 3Dfx started out making hardware & chips for the arcade & coin-op business long before entering the PC market. The fact that they also made & sold Obsidian boards made their chip customers (Diamond and Orchid) nervous. 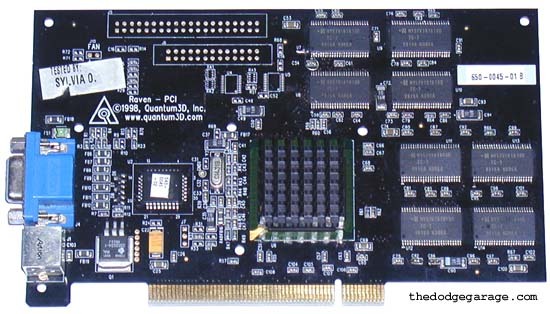 So in 1997 Quantum3D was formed and spun off to handle the Arcade and high end simulation market, while 3Dfx would continue on as just a chip supplier for the expanding consumer PC market. ICE Home Run Derby (1996)- *THE* FIRST COIN-OP GAME USING 3Dfx hardware! Very unusual baseball game, this was a virtual reality type where the player actually swung a bat at a virtual ball while in a batting cage! The machine had sensors that picked up the bat location when swung. One article states they were magnetic sensors, another mentions infrared sensors. 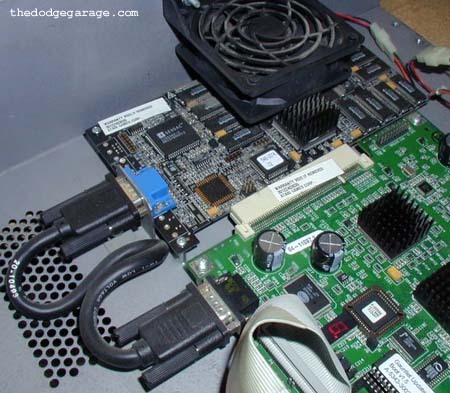 What is interesting is that the Jamma interface box shown above was made by 3dfx! 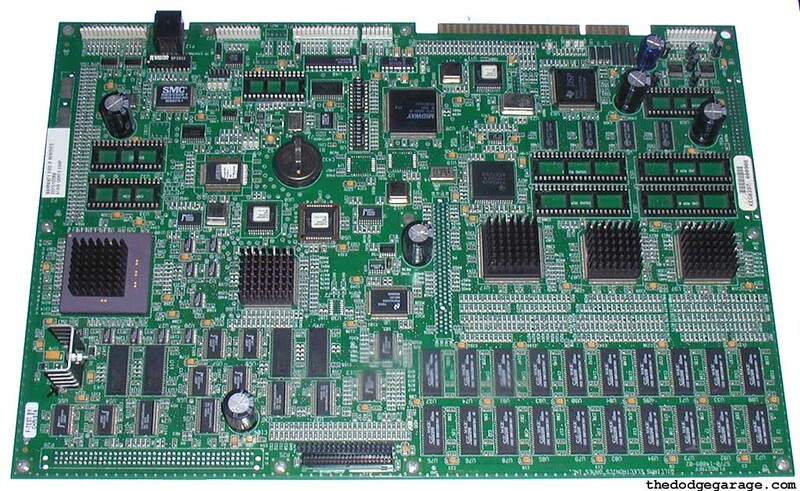 This card let regular PC based hardware interface with the Jamma spec console wiring and connectors without modifications to the base unit, saving time and money. If you look at the SEATTLE PCB below, you will notice it has the same edge connector. Quantum3D continued to sell Jamma interfaces like these well into 1998. Jamma stands for 'Japanese Amusement Machine Manufacture's Association,' they devised the reining standard for arcade consoles so that equipment & PCB's were interchangeable without having to buy a new cabinet. Load a new PCB in, change the decals and *bang* you have a new game for a fraction of the cost. 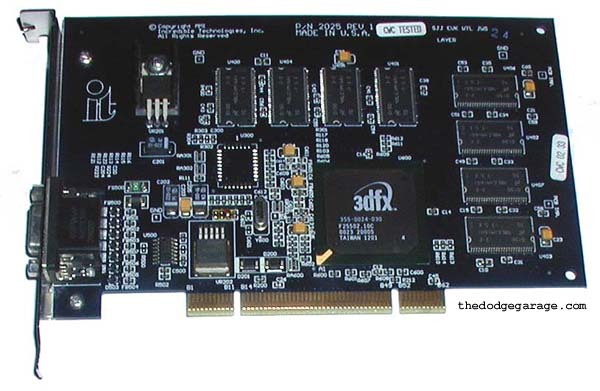 The earliest piece of dated 3Dfx hardware I have seen yet, 1995! 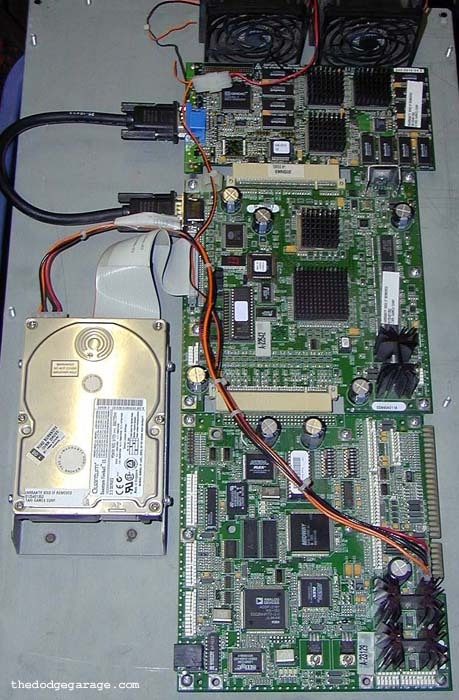 Other components of the system included a Obsidian 50SB-2200 Voodoo Graphics board, a Creative Labs Sound Blaster 32 with extra ram and a SIS 2D video card. Here is a small page of information and images I have thrown together on ICE Home Run Derby. Another notable fact about this game was it was one of the first if not THE first arcade game that could be upgraded to a new game with just a software update. In 1997 the "upgrade" was released called PITCHER'S DUEL TOURNAMENT EDITION and all that was required was a CD-ROM and a few decals. 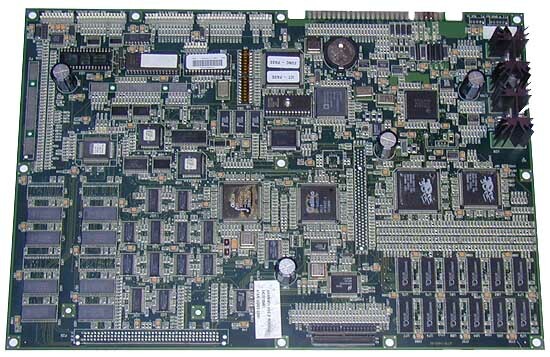 Atari San Francisco Rush (1996) Atari/Williams "FLAGSTAFF" PCB utilized for S.F. Rush Extreme Racing and S.F. Rush The Rock Alcatraz edition. 200 mhz MIPS R5000 CPU with 50 mhz bus, 8 MB of system memory with 512kb boot rom. The game data information is stored on a regular PC hard drive with the IDE interface controlled by a National Semiconductor PC87415VCG chip. What is very cool about this PCB is it has a Voodoo Graphics chipset on board with dual TMU's with 10 MB of ram on board! 2 MB for the frame buffer and 4 MB each for the texture management units. Amusing to note that the board is marked Williams & Atari. Standard ethernet jack for networked play, four machines could be hooked together. Atari Wayne Gretzky's 3D Hockey (1996) Atari "PHOENIX" PCB from Wayne Gretzky's 3D Hockey, the only game to utilize this unique PCB. Details are sketchy but it looks like the board runs a 100mhz MIPS R4700 CPU (50mhz bus) with 4MB of ram, 512K Boot ROM, DCS Sound System running at 16mhz with 4MB ram and 32K boot rom. The game data information is stored on a regular PC hard drive with the IDE interface controlled by a National Semiconductor PC87415VCG chip. 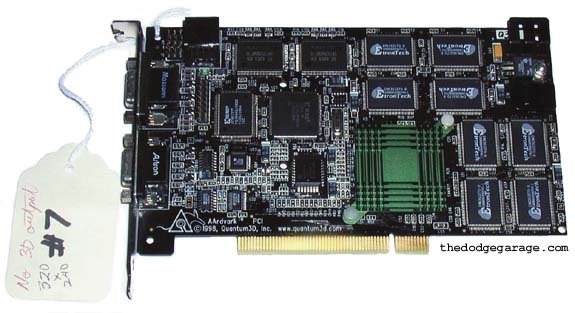 Graphics were powered by 3Dfx's Voodoo Graphics on the PCB with 6MB of ram. 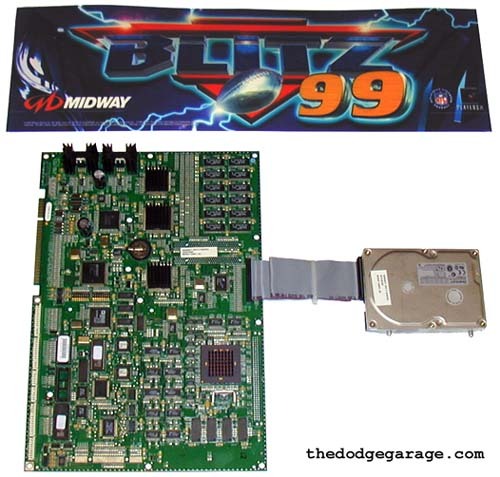 Midway's NFL Blitz (1997)- Midway/Atari "SEATTLE" PCB from Midway arcade game NFL Blitz. 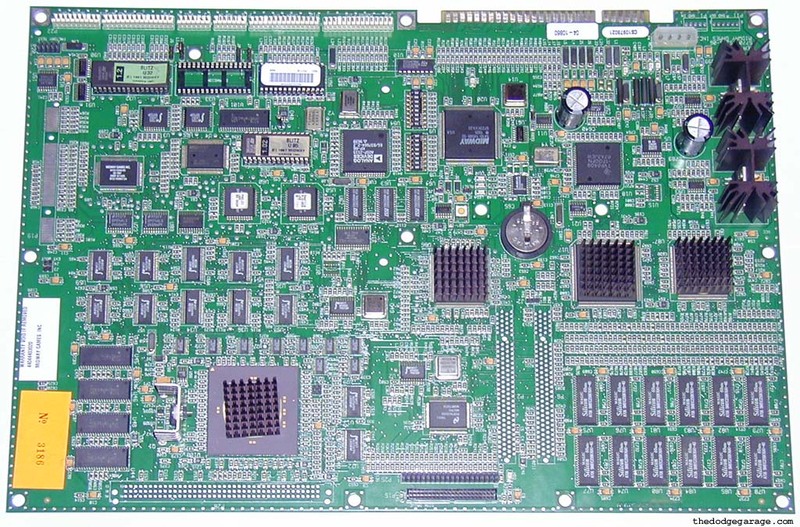 The board has a 150 mhz MIPS R5000 CPU, 8 MB system memory, 512k boot rom and sound has its own CPU and ram too! The game data information is stored on a regular PC hard drive with the IDE interface controlled by a National Semiconductor PC87415VCG chip. Notice the familiar bank of ram and two chips with heatsinks on the upper right hand side of the massive 16" x 11" board? 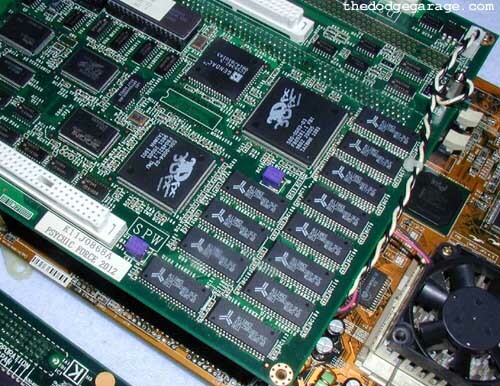 Popping off the heatsinks reveals 3Dfx Voodoo Graphics power with 6MB of ram! Close up of some of the onboard chips and markings. 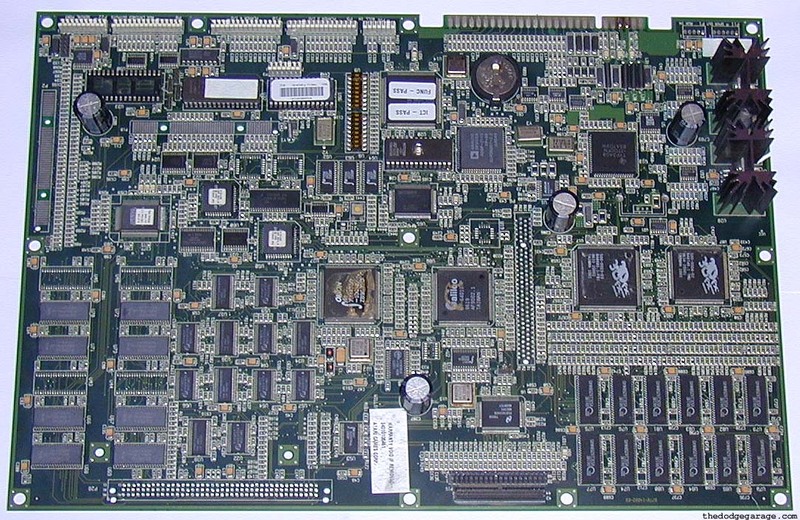 This basic Seattle PCB was available in speeds from 144 mhz to 200 mhz depending on the title and was used in 10 known Atari and Midway console games. Screenshot taken with digital camera when Blitz was in attract mode, wait long enough and this familiar logo will greet you. 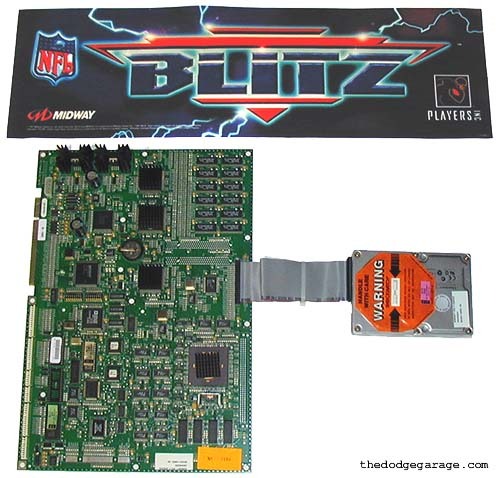 I also own a Blitz '99 PCB with hard drive and marquee. The whole Blitz series (Blitz/Blitz99/Blitz 2000 Gold) all use the same Seattle PCB with updated roms, hard drive and marquee as needed with one exception! Midway released a console called "sportstation" that had NFL Blitz 2000 and NBA Basketball. The player could choose which game he wanted to play after inserting a quarter. That console use a different PCB with 3dfx Banshee graphics board. 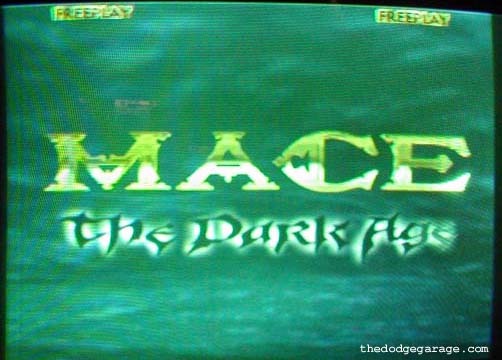 I also have "Mace the Dark Age" which uses the same Seattle PCB as NFL Blitz/Blitz '99. Midway BLITZ 2000 GOLD (2000)- Yup I have gone off my rocker. 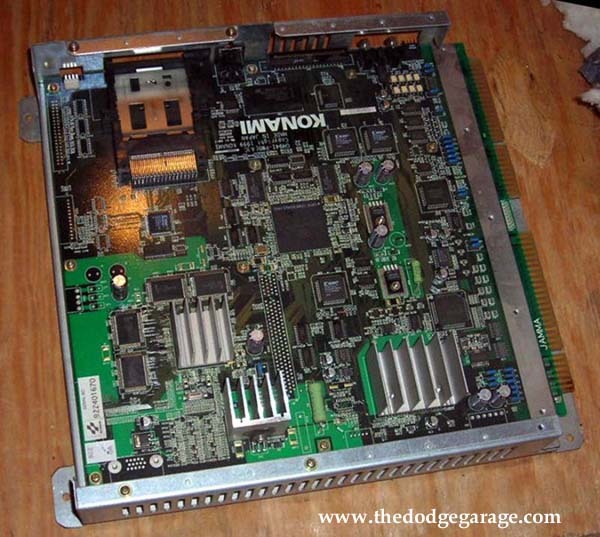 Your looking at a genuine 3dfx powered arcade machine! The price was to cheap to pass up and works perfect! What is interesting is that this appears to be a JAMMA conversion machine. Midway offered upgrade packages for older machines as a way of bringing them "up to date" and increasing your revenue. The cabinet is an original SEGA unit that was updated to Midway hardware, new external graphics and a Midway/Atari Seattle PCB board with onboard Voodoo Graphics running the last version of Blitz. This unit has had a long life, it's coin counter indicates $57,000+ in quarters has passed through! 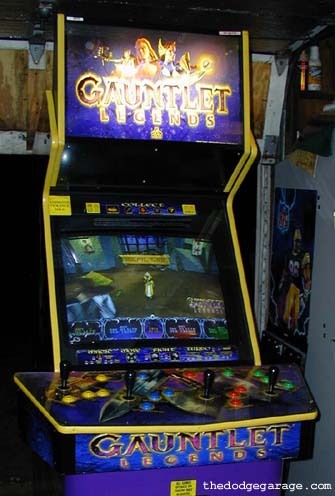 Atari's Gauntlet Dark Legacy (1998) Yup, arcade console number two! This arcade game used a 200 mhz CPU Vegas Atari/Midway PCB design with an interesting feature- It had a regular PCI connector on one side! Plugged into that PCI connector was a slightly modified Quantum3D Obsidian2 90-2440. 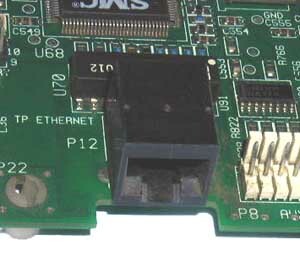 A normal Voodoo 2 passthrough cable ran from the card to a connector on the main PCB so the video can be out put through the standard Jamma connector. 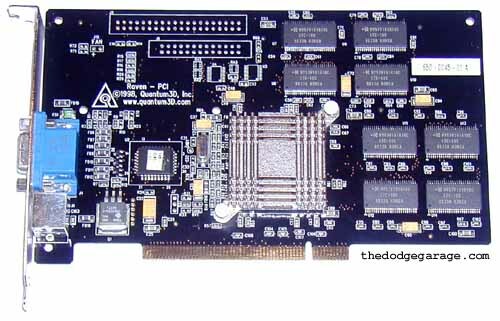 An otherwise normal Obsidian2 S-12 Voodoo 2 card with just 10 megs of ram, no SLI connector, no TV-out and no passthrough VGA connector. This hardware was also used on at least four other arcade titles. 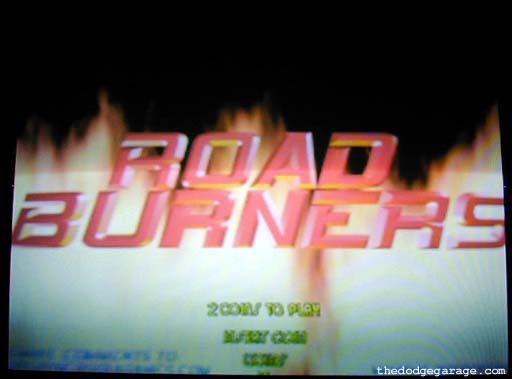 Atari Road Burners motorcycle riding game! Using Midway Durango hardware similar to Gauntlet Legends Vegas PCB, Road Burners also utilizes an Obsidian2 90-2440. I was lucky to score this rare Japanese import off Ebay UK, and it included everything shown above. Psychic Force 2012- A TAITO "WOLF SYSTEM" powered Mortal Kombat style game, PF-2012 utilizes PC based hardware with Voodoo Graphics and a 200mhz Intel MMX CPU. The system has a standard JAMMA interface with mono sound and drives standard resolution arcade monitor. Other sources indicate that the game runs at VGA, but nothing about VGA is indicated in the manual nor have I had any luck running it on a VGA arcade monitor. With the top chipset PCB removed the Voodoo Graphics chipset is clearly visible. Midway's Sportstation (2000) This was a two-in-one arcade console that let you pick either NBA Showtime : NBA on NBC or NFL Blitz 2000 Gold after dropping in your quarter. 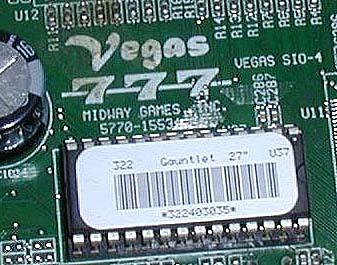 This console used the same Vegas PCB as the Gauntlet Legends console shown above. There is a few interesting items about this PCI Raven making it different then the regular "consumer" cards sold to the public or the replacement cards ending up in the machines. Right off the bat you notice the card has a different heatsink- the regular Raven heatsink is 6mm inches tall, this one is about 14 mm tall. The card is installed parallel to the board with a fan over it so heatsink clearance isn't an issue in a console. (click here to see a regular Raven PCI in a new window) It still has the white Midway "tested by" tag on the board at the top left and of course the backplate is missing as it isn't required for console applications. 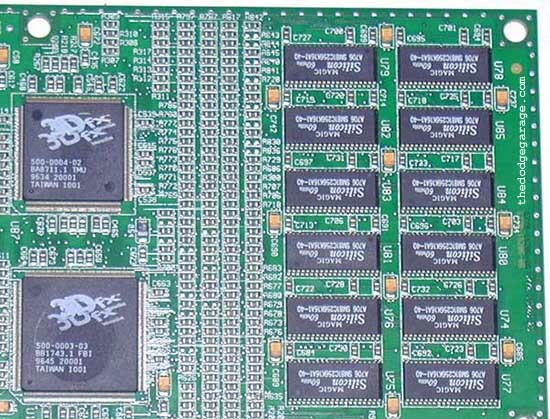 When is the last time you laid eyes on a Banshee board with 7ns ram? Holy smokes! This card has the fastest ram I have ever seen on a Banshee, all the other SDRAM boards I own either have 8ns or 10ns ram. This ram is rated for 143 mhz operation which is 43 mhz over the base 3dfx "spec"! Quantum3D AArdvark Banshee The AArdvark was an unique piece developed to expand Quantum3D's penetration into the arcade market. Most arcade consoles are made to the universal Japanese "JAMMA" spec that makes it fairly easy to upgrade to a different game. Since all the connectors are made to a standard spec most of the time all that is needed is to unplug the main PCB board, plug in the new board, change the graphics on the outside and viola' you have a new game for the fraction of the cost of purchasing a complete new console assembly. 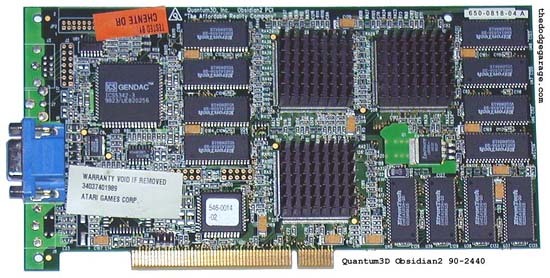 Now Quantum3D was big on selling the Quicksilver II PC based systems with JAMMA interfaces that would let you slide the unit into any JAMMA console, load the game onto the hard drive and away you went. When it was time for an upgrade or new game it was a simple matter of just slipping the CD in the drive and loading the program with no hardware changes required! Pretty slick! Where AArdvark came into play was there are plenty of older JAMMA consoles still equipped with low resolution EGA/CGA monitors. By equipping a Quicksilver system with an AArdvark card, owners would be able to upgrade those older consoles without incurring the expense of having to replace the monitor too. A: AArdvark outputs anti-aliased visual imagery to older, lower resolution EGA and CGA arcade monitors. Using a simple two-by-two anti-aliasing scheme to compress the 2D and 3D output into a low-resolution display format. Q: Why are there two separate video ports? 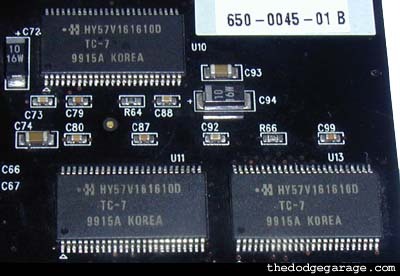 A: There is one high resolution 15-pin D-Type VGA connector and a standard 9-pin D-Type connector for EGA and CGA output. Q: Which port will generate anti-aliased images? A: The 9-pin D-Type connector generates anti-aliased images. Q: Why do I need to have anti-aliased images generated? A: The anti-aliased images for EGA and CGA will display smoother line edges. The images generated will look far superior than standard EGA and CGA displays. It can even look better than VGA at 1024 x 768 as a direct result of anti-aliasing. Q: Which resolutions can be generated on the AArdvark? 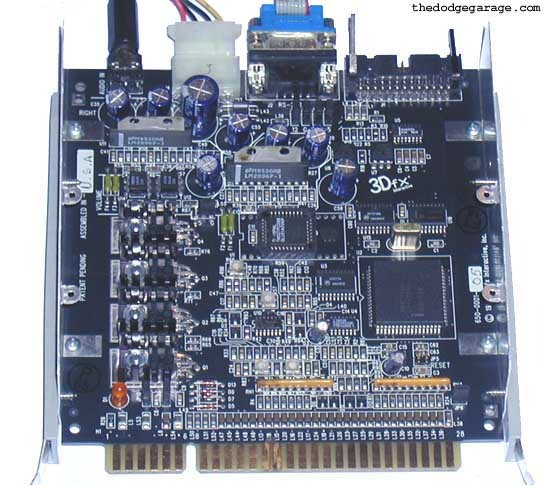 A: The 15-pin D-Type VGA connector will generate 640x480 & 1024x768 resolutions. The standard 9-pin D-Type connector will generate 320x240 CGA & 510x384 EGA Anti-Aliased. Q: How is the large internal black port used? A: It is for internal use only. It generates EGA and CGA signals. Q: How can I use the AArdvark to display images on EGA and CGA monitors? A: The bootable flash diskette changes the AArdvark BIOS instructions to generate images for EGA monitors. A separate bootable flash diskette changes the AArdvark BIOS instructions to generate images for CGA monitors. Q: Are there any drivers available for the Audio Amp? A: No, the Audio Amp is strictly a hardware audio amplifier. Q: How does the Audio Amp receive power? A: A standard internal power supply connector is used to supply power. 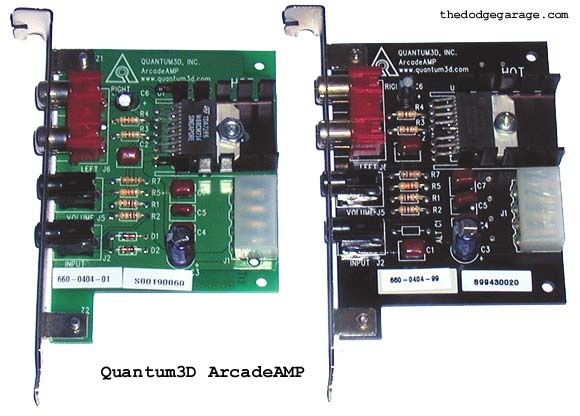 Q: Does the Audio Amp use a PCI or ISA slot? A: Neither, it does not use a slot at all on the motherboard. It can be mounted to a flat surface or secured into an internal PC chassis slot. Q: How many Watts does it amplify? A: The Audio Amp delivers 20 Watt stereo output. Not Quantum3D nor a retail 3dfx piece either but definitely arcade so here it is. You are looking at an Incredible Technologies Voodoo 3 made in 2002!! I.T. 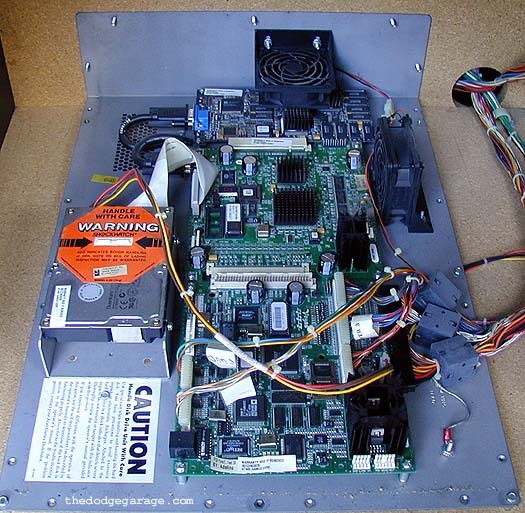 makes a series of arcade golf games (Golden Tee 'Fore 2000-2005) that are powered by either a Voodoo 3 2000 or 3000 PCI board. 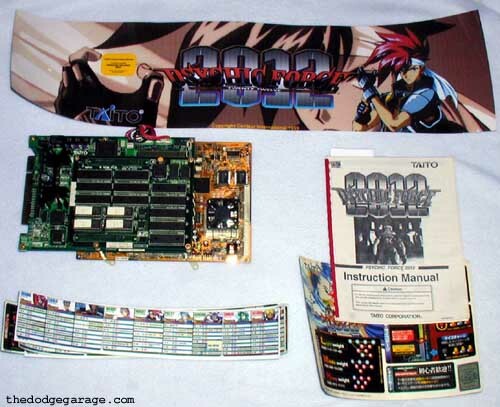 Rumor has it that they cleaned out the channel of all the available V3 PCI boards so tooled up and had a bunch made from remaining chip stocks so they could keep selling consoles! What is interesting about this card is that it has no bios chip and when installed in a PC seems to conflict with about everything. I'm thinking since it is for use in a dedicated console with unique PCB it must have resources already set aside for it by the main board hence no bios is required. The actual color of the PCB is a deep blue, my camera just didn't seem to be working well on the day I took this picture. Also the board is equipped with a small heatsink removed here to check the chip date. Konami Viper system with Voodoo 3 chipset, at least 12 different arcade games are known to run on this hardware.